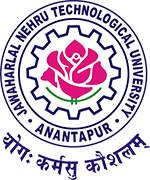 JNTUA B.Tech 2-1, 3-1, 4-1 Sem R15, R13, R09 Regular/Supply Exam Time tables Nov/Dec 2018, jntu anantapur b.tech 2nd, 3rd & 4th years 1st semester Examination Time tables 2018 download. Jntu anantapur has announced B.Tech II, III & IV Yrs I semesters R15, R13, R09 Regulations Regular/Supplementary Examination Time tables November/December 2018. Students can download their respective time tables from links given below. Note: (i)Any omissions or clashes in this time table may please be informed to the undersigned immediately. (ii) If any discrepancies ore found, the same may be informed to the undersigned immediately. (iii) Even if government declares holiday on any of the above dates, the examinations shall be conducted as usual.